Service pack 4 was released on 7/26/2016 and is now available for download. This service pack is now available to Subscription Service customers. To download, click here. Or log into the SOLIDWORKS Customer Portal at https://customerportal.solidworks.com and click Download Software and Updates to access the update. 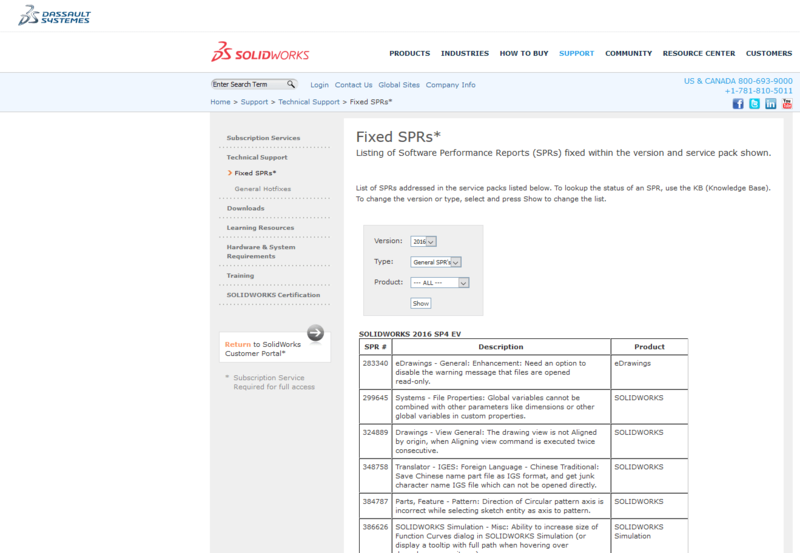 A listing of Software Performance Reports (SPRs) fixed within the versions and is available click here. There are a number of bug fixes along with enhancement requests. It’s important that if you would like to see specific functionality that doesn’t exist is SOLIDWORKS, file an enhancement request through your customer portal account. This is the only way SOLIDWORKS will be aware of what users want.